There you go. I love them all but my top 5 are(in no particular order): I Caught Myself, Bella's Lullaby, Flightless Bird American Mouth, Eyes on Fire and Full Moon. Enjoy! Please click on this link to go view the songs listed here in order. Much obliged! Sorry, but the beggining of this song-there are like two parts, you'll be able to tell, it ends for a few secs then comes back a tad different- just reminds me of when Bella and Edward are falling in love in Twilight. I honestly don't understand all of the lyrics- Andrew McMahon is VERY creative(Lead singer-pianst, founder....)- but the moral is most definatly prominent. :) I LOVE this band! I love like, ALL there songs. JACK'S MANNEQUIN ROXS! (Also, it's part one, Made for Each Other. I ends at about 2:22, but i encourage you all to listen to the rest of the song. I LUVE IT! I've been a fan for like, 2 years, but I LUVE IT ALL! Hola. 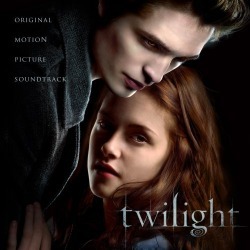 Here is the song from the begininng of the Official Twilight Trailer. I was itching to discover what it was, and I'm still looking, though, for the second/techno one. Here's a beautiful Twilight, well, New Moon inspired song by Candace Charee called "Never Erase".